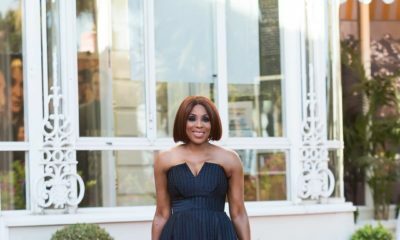 Ireti Doyle, Omoni Oboli, Dakore Akande and Nse Ikpe-Etim star in ‘Fifty’ from EbonyLife Films – a movie that pushes the boundaries to uncover the lives of Lagos’ contemporary and glamorous upper class, sharing the world of four women as they rise above adversity to stand as they truly are; modern African women. 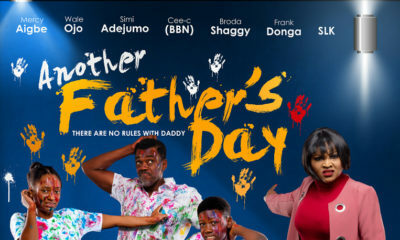 The movie also has special guest appearances from music stars King Sunny Ade, Femi Kuti, Nneka, Tiwa Savage and Waje. Other stars in the movie are Timini Egbuson, Wale Ojo, Emmanuel Ikubese, Kachi Nnochiri, Kemi ‘Lala’ Akindoju, Uzor Osimpa and more. The production team includes Mo Abudu (Executive Producer), Biyi Bandele (Director), Tope Oshin Ogun (Producer) and Malcolm McLean (Director of Photography). We can’t wait to see Tola, Elizabeth, Maria and Kate rise triumphantly to the challenges of contemporary life faced by women everywhere and remain unbowed. 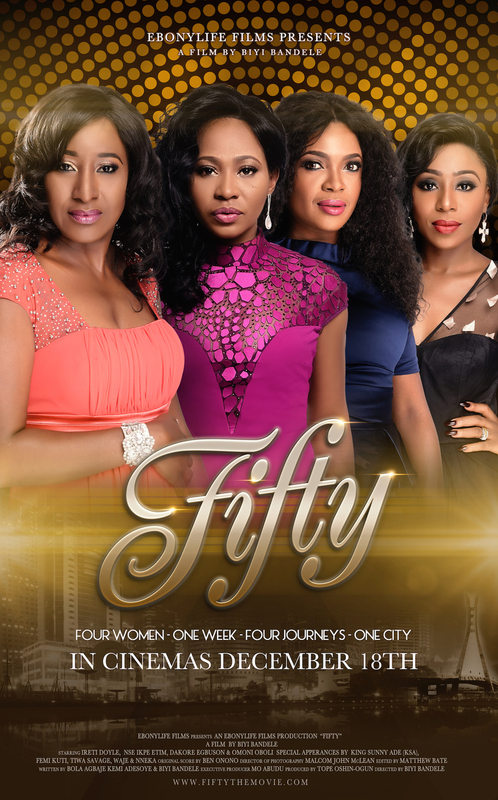 The official premiere date for ‘Fifty’ in Lagos is December 13th, 2015. Idris Elba Responds to James Bond Author’s ‘Too Street’ Comments in the BEST Way! Jeeeez!!! All my favourite people- Nse, Dakore, Ireti!!! I’m super stoked!!! Like seriously be still my heart!!!!! Wow… my favorite ladies in one movie.. hmmmm. Bundle of beauties…waiting patiently for it. Cast and crew are perfect. Some of my most adored Nollywood folks. I can’t wait to watch this. Dear Omosexy and Genevieve, majority of Nigerians may not regard these women as ‘queen(s) of nollywood’ but they truly are. There is more substance to their careers than being socialites. Seek out challenging but interesting roles to reinvent your careers. Nse, Dakore, Omoni and the awesome veteran herself, sisi Ireti, well done! OK I’m sold!!!! Thank God Naij was in my agenda for December 2015, yay!!! There’s absolutely nothing new about this story. The only reason people will watch is Nse (brilliant actress) & Dakore (loved by all). I think EL movies need to put more effort into their stories… Genny, by the way, has produced her own movie which will be out early next year. Omotola is also in a new tv series (the Island) Sometimes, it is good to set high standards for yourself especially in an industry that thrives on mediocrity. 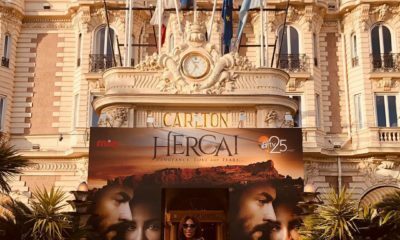 Breath taken, can’t wait to see the movie already…. OMG These divas are stunning can’t wait for the full movie. Definitely one of my xmas wish for this year. 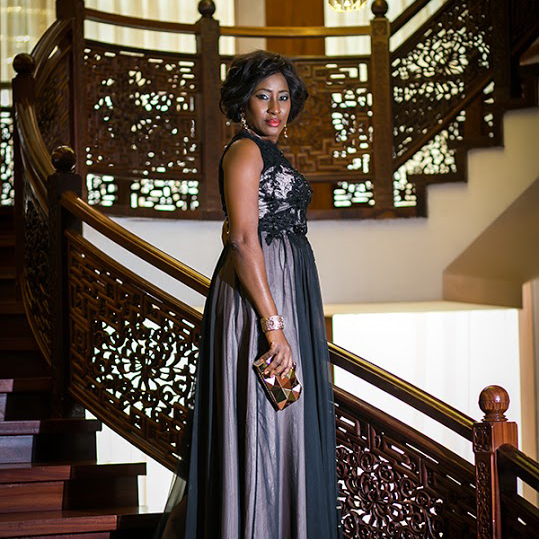 Ireti Doyle!!!!!!!!!!! you no dey old???????? Kai I remove cap for u. She is really giving these young stars serious competition. THUMBS UP……. Looks good, I will definitely be watching! Am I the only one that thinks this story might have something to do with Mo Abudu? Like Dakore’s character reminded me of her instantly. Can’t wait to see the movie though. Lots of bling and razzmatazz but very little substance. Just the usual jollof flick. There does not seem to be much to the storyline. I expected so much more from Biyi Bamidele. So this Mr. Nigeria guy is suddenly an actor too? It is well. Looks and star power forever dumping talent. The Mr. Nigeria dude is actually a believable actor. He was very good on Taste of Love. I was impressed.. I knew Mr. Nigeria as an actor first on Shuga Kenya with Lupita Nyongo before the pageant. So he did not ‘suddenly become an actor’ as you put it. Oh shut up @tari. just shut up your filthy mouth and hand. December 18th is too far, can’t wait to for this. This is breath of fresh air. The filth you spew makes it impossible for me to join issues with you. You might be an adult but I can see a juvenile stuck inside you. What exactly is breathtaking here? The make-up or the fashion? Is it the quality or photography? All of these are top notch (although I find the make-up excessive on the females). Certainly not the story line as depicted in the trailer. No need discussing with you, these things are well above your level of understanding as I can see that you are easily excited. Best wishes and I hope you find healing in real life outside the cyber world. @Tari do you know what? Go and write your own story/script, produce, cast your actors and actresses, crew, makeup artist, location and all you need to produce a movie. Write everything in details in form as a proposal. when you done contact me then i will fund it for you. Address your proposal to the Chief Executive Officer Celkon Media. I do not need to give you my contact details, just google the company name and get them. I will help you with finance and then when you are done, would definitely love to see how well your good in your craft. Trailer is sooooo good. Omoni was the only weak link for me, she’s the same in every movie!!!! Can’t wait sha…now shakin body! The photoshop di Lea very risky ? oh good! Seems like a little more effort was put into this. I think I will watch. This looks excellent, I can’t wait to see it. …in this little teaser of a trailer one of the captions says…”African Women Like you Have never Seen them before”…are they really serious, or just out of their minds?! This movie shows African Women and African girls, as we have ALWAYS SEEN THEM BEFORE, and since the beginnings of Nollywood and Ghollywood:…sleeping around, getting pregnant out of wedlock, doing anything for money, enjoying abortions, and so on… Because there is nothing new in this movie, I BEG YOU MY BRODAS AND SISTAS, do not waste your precious time on this RUBBISH . Instead spend your time wisely by writing your own movie scripts. I am sure you have great ideas that are much more entertaining and family-friendly…AFRICAN STYLE!!! Seriously!!! You call it rubbish? Another person’s work is what you call rubbish? Oh wow! Cheers!!! No, fake accents or any such foolishness. Sheer good breed Nigerian elegance. Thumbs up, Mo. All the basic and razz actresses should take a look at who we define as “GOOD ACTRESS” (not great but very good). SO to the basics MEDIOCRE so called actresses You know who you are. If you like dare me i will mention names. 🙂 – instead of taking photos in dubai shopping malls and hotel rooms and instead buying brazilian weaves and shoes and bags use the money for acting classes. I like the fact that Omoni and Nse only came in the industry less than 5 or 6 yrs ago but risen up so fast and now considered one of better actresses in better actresses. I can name a few who have been in since 10 – 15 yrs ago, since Sharon Stone or Blood Sisters days and yet still floating actin one razz role after the next . I miss my Genny and cant wait to see her again on screen, i havent seen her in almost 3 yrs on screen. Finally a Nigerian movie I can watch! it looks good. but it seems like it’s about mo abudu and her friends. I am really tired of sensationalizing and glorifying the western way of life. These ppl being worshipped hate their lifestyle and travel out of the west i.e USA seeking simple and healthier lifestyles and cultures. There is nothing glorious about the lifestyle mental health issues abound depression and debauchery is at astronomical levels…give me the African themed rich cultural and down home movies any day with the likes of bruno iwuoha, diewait ikpechukwu. Enough of the worshipping and complex of the oyibo empty lifestyle it is redundant and lacklustre. Very good and thought-provoking comment. Thanks. I can’t wait to see this. I’ve missed Dakore on my screen biko. I love each and every one of these actresses and will certainly see the movie for their performances, not necessarily for the storyline which sadly seems like nothing new. I really don’t understand why some people always have a negative comment to pass without blinking an eyelid. Please we all should always be positive minded and always see good in anything and everything. This does not rule out negative feedbacks but let it be meaningful and constructive, This trailer does not deserve blows just yet. No one has even seen the movie and to me all i see is fantastic ladies with good picture quality and clear and understandable diction. There is already too much hate in the world, lets all love the good more than we hate the bad. That is the way YOU can be different and help the world. That is the only problem (so far). Both eyebrows were raised when I saw the cast. So which one of them is fifty or nearing it sef. It looks appealing. The story seems safe, yes. But it has Nse, Dakore, Ireti. 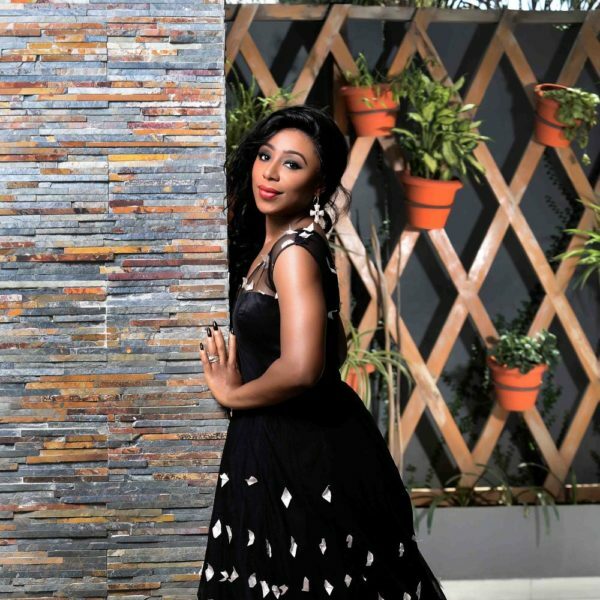 Funlola Aofiyebu and Bimbo Akintola would have been icing on the cake. VI and Ikoyi-Upper middle class ke? it is obvious the comments praising Genevieve and Omotola were posted by them and their family members! unfortunately your comments won’t change the fact that all four ladies in this movie have taken over nollywood and doing us proud..it’s like saying a movie which features the likes of cameron diaz, scarlett johanson or even angelina jolie is no good because Meg Ryan and Sharon stone are not in it. Omotola and Genevieve, no one asked you both to stop acting so don’t undermine the hard work of those that replaced you! mcheww jealousy girls living in their past dusty glory!